Cardiovascular disease (CVD) continues to be the leading cause of death for both men and women in the United States and the number of cases is still increasing annually. With CVD being such a fatal disease, health organizations, physicians, and pharmacists all encourage a lifestyle that promotes healthy cardiovascular decisions. The continued rise of CVD has caused pharmaceutical and nutraceutical manufacturers to begin creating supplements specifically geared towards cardiovascular health. This is a development marketers need to note, as it has created a separate nutritional supplement consumer psychographic by narrowing in on this end user. It’s important to consider how these supplements are utilized and the key ingredients present in these products that help manage CVD. For instance, omega fatty acids are a huge ingredient in the battle against cardiovascular disease and commonly found in most supplements. Coenzyme Q10 and garlic are two other ingredients that are often present in supplements meant to aid in combating CVD, and each of these supplements can be ingested as a capsule, liquid, or gummy. What also becomes important is knowing which new supplements are on the market and who is marketing them. For instance, if Bayer comes out with a new nutritional supplement specifically for cardiovascular health and this is a demographic you plan on targeting, then you as a marketer need to know why they have chosen the ingredients for their products and what benefits or clinicals exist for its marketing. They have done extensive research, so utilize their marketing dollars to your advantage. Being able to capture this widening consumer base could be a major part of your next direct mail marketing campaign. Consumers interested in these supplements aren’t simply seniors who’ve already experienced some form of CVD, but also adults from upcoming generations who see the need for these supplements or who have had a family history of the disease. These adults hope to be proactive in protecting themselves or lowering the chances of them ever having to deal with the disease full-on; that means that even within the narrow demographic of consumers of CVD exists age differentiations that can be crucial to the success of your campaign. Working with Macromark can provide your company with variations of lists that are flexible enough to suit the specifics of your campaign. Macromark has an extensive history of executing effective direct mail or e-mail campaigns with clients throughout the U.S. and Canada and we are confident in our knowledge and ability to broker the list that will best identify your targets. 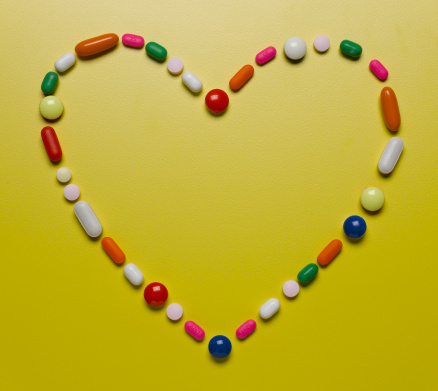 Terrie, Y.C., “Cardiovascular Nutritional Supplements,” PharmacyTimes.com, December 8, 2014; http://www.pharmacytimes.com/publications/issue/2014/December2014/Cardiovascular-Nutritional-Supplements.